In a bit of exciting news, we’re finally putting things in motion for the future shape of HillyTown, which you’ll be hearing more about in the coming months. What you can expect will be regular updates, more live show coverage, and – of course – more events. We’re excited and we hope you will be too. Before all of that, we have an announcement! 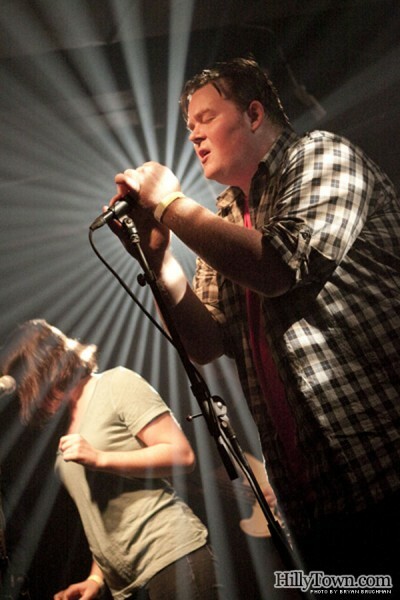 HillyTown Presents NYC is back in action, pairing Maine bands up with local and national acts for shows in NYC (see also WHAT BLOG? !, our collaboration with a few of our music blogger friends). 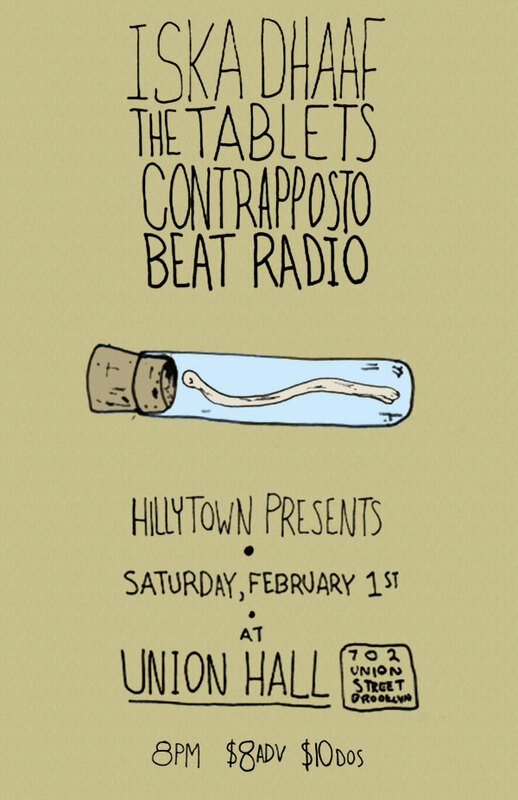 It’s been a while since we’ve done these regularly, so we’re psyched to get back into it on February 1st at Union Hall. Read on for details! PICNIC Holiday Sale This Weekend! It’s here! The 5th installment of the Picnic Holiday Sale is happening this Sunday 12/15/13 at the Portland Company Complex at 58 Fore Street in Portland, ME from 11am to 6pm. Once again we’ve put together a lineup of DJ’s to keep you entertained and shopping all day! You can RSVP on Facebook (but the event is free and open to the public of all ages). For the third year, HillyTown Presents is curating the live music lineup at Picnic Music + Arts Festival in Portland, Maine. The annual free festival is happening on Saturday, August 24th in Lincoln Park (corner of Congress + Franklin). The festival itself is in its sixth year, and one of our favorite things about the music is that the lineup has consistently featured local acts (often including brand new bands playing some of their first gigs), alongside some touring bands. This year, we’re going heavy on the locals in the 10-band lineup, with new acts Leveret, High Spirits, and Gimme Goldar, recent favorites Rural Ghosts, Lisa/Liza, Conjjjecture, Forget,Forget, and Contrapposto, NYC-based Yoni Gordon bringing some city soul to the park, and the triumphant return of a reformed Good Kids Sprouting Horns. Read on for videos and streams to get to know the bands, and remember to make it a whole weekend of great music by picking up tickets for More Hot August Night, On A Boat, AKA Party Barge (Sunday, August 25, $15, 21+, available at Pinecone + Chickadee). 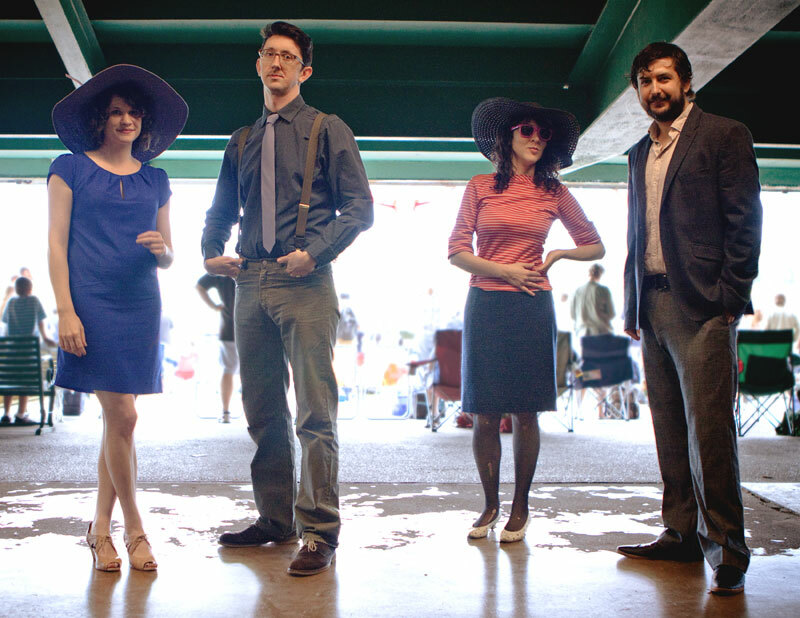 Contrapposto – Cousinfriends (official music video) from Contrapposto on Vimeo. See you in Lincoln Park! Learn more about the show and all the performers here, and RSVP on Facebook here. We know that this is a pretty busy weekend in Portland, so we decided to give the Maine music fans in NYC a little excitement too. This weekend, The Rattlesnakes are heading south, hitting NJ, NY, and MA (check out their tour flyer below). This Sunday, August 5, they’re stopping at Union Hall in Brooklyn, NY for a HillyTown Presents shindig featuring two local bands that we’ve been loving lately: Troubled Sleep (who also played our Northside Festival Showcase recently) and The Split. Check out some audio evidence of the awesomeness waiting for you on Sunday, then come out to the show (or tell your friends in NY about it!). FB details/RSVP are here. Purchase tickets for $7 here. 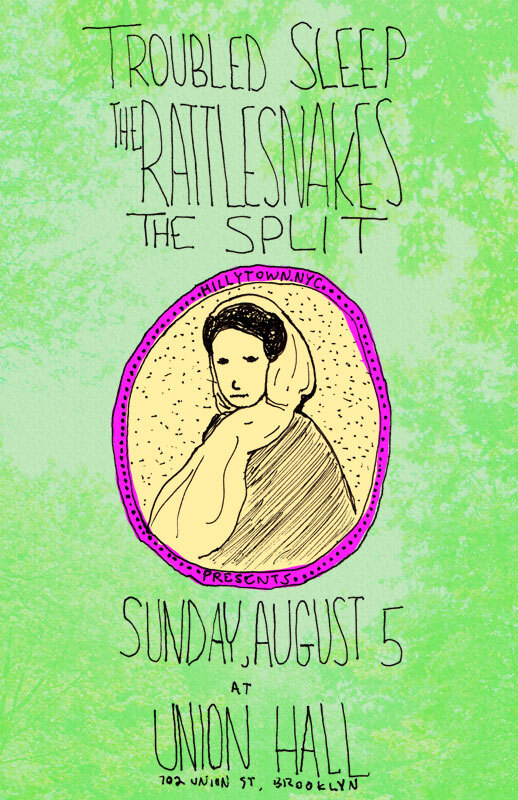 Continue reading HillyTown NYC Presents: The Rattlesnakes + Troubled Sleep + The Split! Hello friends of HillyTown, Maine music lovers far and wide. We’re very, very excited this weekend. Why? Because tomorrow will be our first time participating in the L Magazine’s Northside Festival, held in and around the Williamsburg neighborhood of Brooklyn. 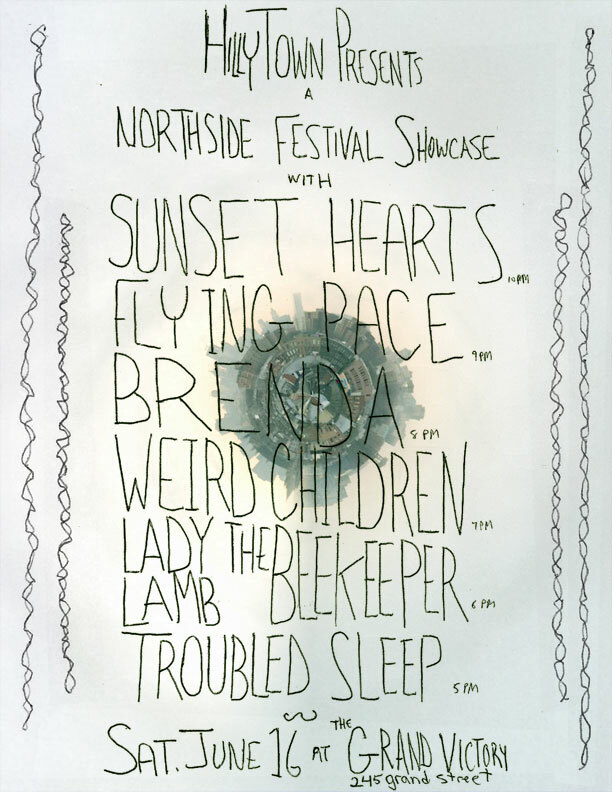 We were invited to curate a showcase featuring Maine and Brooklyn bands, and we’re psyched about the lineup we put together for it! Things get started tomorrow – Saturday, June 16 – at 5pm at The Grand Victory. Free with festival pass or $9. I first heard about this band at my local coffee shop/record store and was immediately hooked. Like a heavier version of Mango Floss or the softer moments of Pretty Girls Make Graves, this Brooklyn-based foursome kicks off our show with sweet indie rock. It’ll be our first time seeing them live, and we hope you make it yours as well. Our dear friend Aly Spaltro should need no introduction around here. 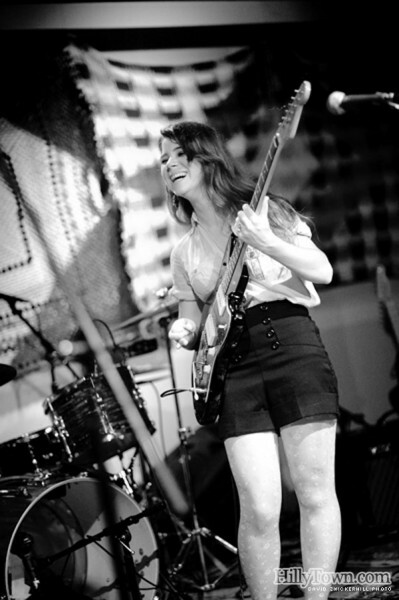 We’ve watched Lady Lamb go from a duo playing to a few friends at Slainte Wine Bar to playing huge festivals and theatres (a prediction we made from our first encounter), and we couldn’t be happier for her. She’s currently wrapping up a new album here in Brooklyn, which we’re highly anticipating to be a new favorite the second it hits earholes from New York to Maine and beyond. 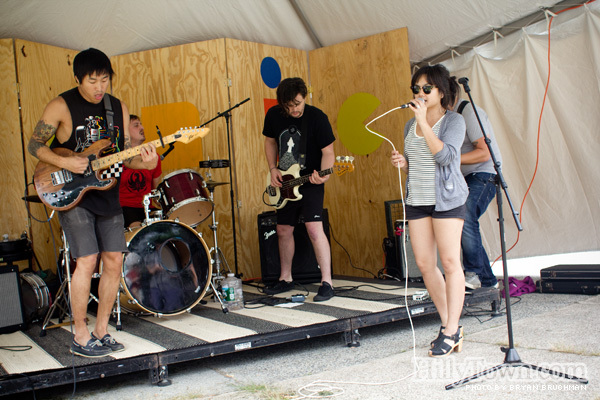 Though they’re a Brooklyn band, we first encountered Weird Children when they contacted us about playing last year’s Picnic Festival in Portland. We’d known a couple members of the band from other NYC acts they’d been in, and were pleasantly surprised when they blew us away on the stage in Lincoln Park. Thus began a now year-long love affair. 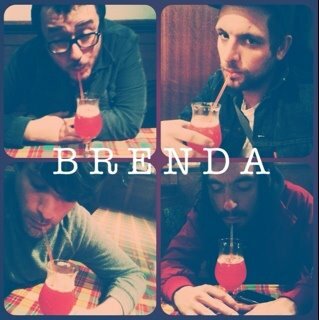 Check out their BTR session to get to know the band – maybe a little too well. Here’s a fun fact: before I actually moved from Brooklyn to Portland, ME in 2008, I took a few trips up, making sure to check out some local music each time when I could. 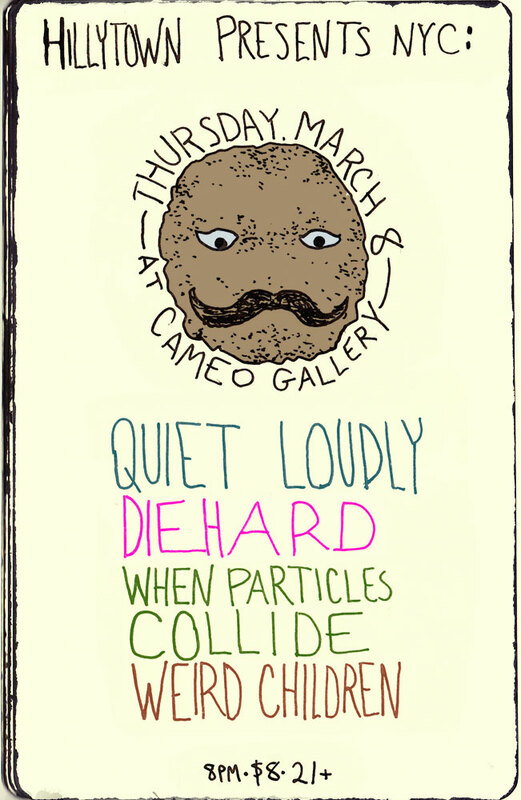 The first show I saw at SPACE Gallery was the Cave Singers, and local band Brenda opened. 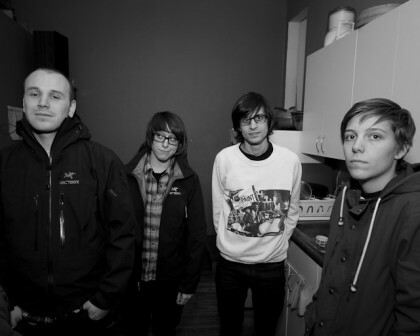 The band has grown and changed significantly since then, building a strong local and regional reputation. Last year’s debut from this 80’s-inspired Portland music scene megaband, Haunted Cloud, made a huge mark and earned this 9-piece group some huge praise and great opportunities. Now, their recently-released followup, the Deco Tech EP, sees the group growing as a band (the original batch of songs was written, composed, and demoed by songwriter/frontman Casey McCurry, while this release sees perhaps a bit more collaboration and influence from the massive group). We’re anticipating a fun close to the night with them, spilling out into the room (because really, that stage area is pretty small and there are a whole lot of humans in this band!) and bringing the infectious dance to everybody around. Our recent week of shows in Maine was great, but now we’re back to doing that other thing we do, where we hook up our favorite Maine acts with shows in NY! 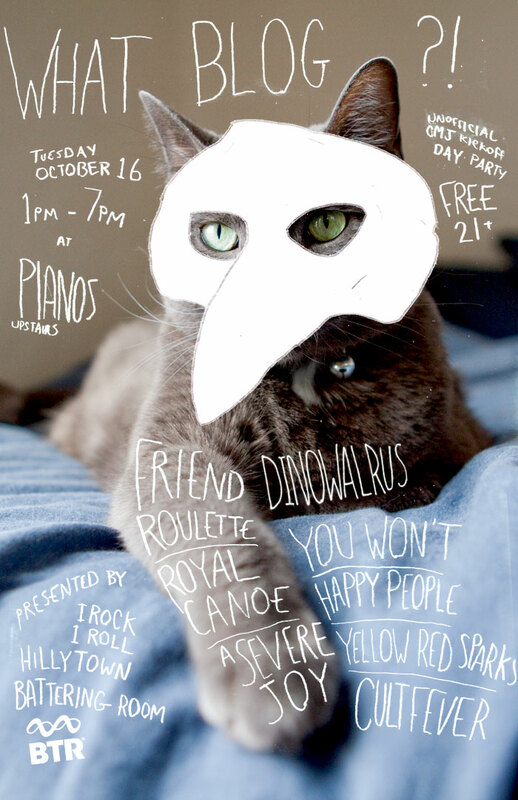 We’ve got one happening this week, featuring the patron saints of HillyTown, Phantom Buffalo! For this occasion we’re working with our friends at Mecca Lecca for a great Memorial Day Weekend kickoff party at the Rock Shop in Park Slope/Gowanus, Brooklyn. 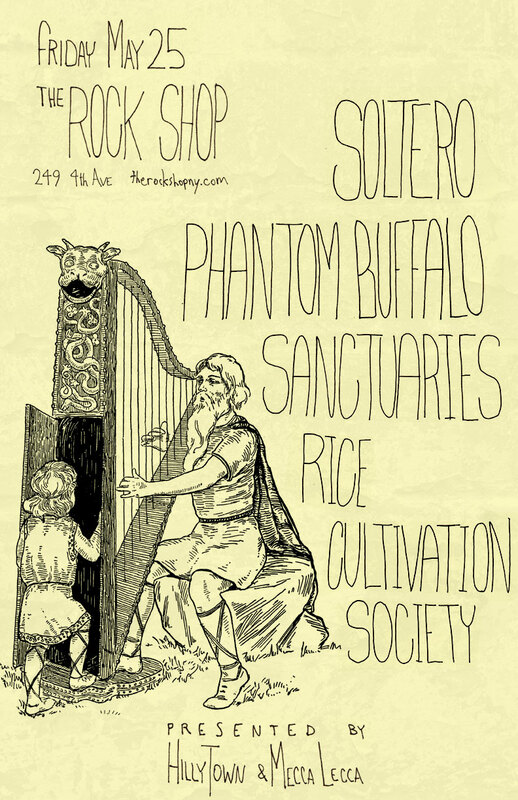 Joining the Buffalos will be their local friends Soltero (celebrating the release of a new album), plus The Sanctuaries and Rice Cultivation Society. If you’re in Brooklyn (or have friends who are) we’d love to see you there. We’ve been spending a lot of time talking about Maine bands coming to Brooklyn (and helping to make that happen when we can) but it’s time to get back to the source. In April and May, HillyTown Presents a week worth of exciting events in the state where it all started. 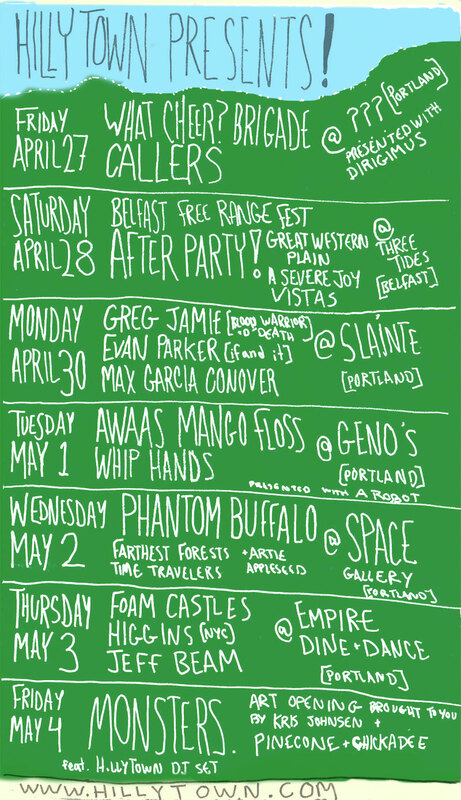 We’ve got an Arbor Day party at an as-of-yet-undisclosed-location in Portland, a Free Range Fest Afterparty in Belfast, four days of very different shows at some of our favorite Portland venues, and to cap it off, a DJ set at an art opening at Pinecone+Chickadee. We’re looking forward to a week of fun with you all. 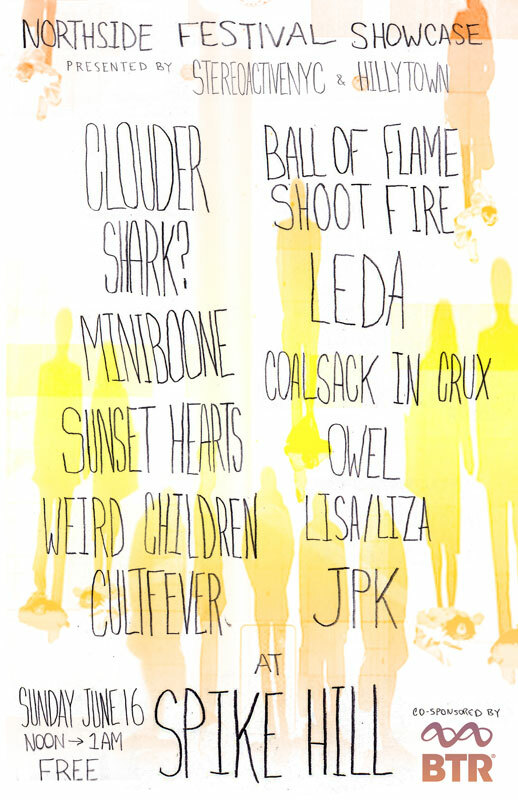 Check out the flyer below to see what we’ve got on the way, and check back for details on all of these show (some of which still have acts to be added to them). This will be the last one for a little while. Tonight’s show at Cameo Gallery (located in the back of the restaurant The Lovin’ Cup Cafe on N. 6th) in Williamsburg, Brooklyn has been in the works for a while and we couldn’t be more excited to present this one. Things start off with doors at 8pm and Brooklyn power garage pop band Weird Children, celebrating a new digital single, a new video, and their first trip to Austin next week. Following them will be Bangor, Maine’s own guitar-and-drums power duo, When Particles Collide, hot off recording a new album. Diehard step the rock factor up even more (by the way have you heard their excellent new covers EP?). Quiet Loudly emerge to close the night out in their usual epic manner. These things just keep coming up faster and faster don’t they? 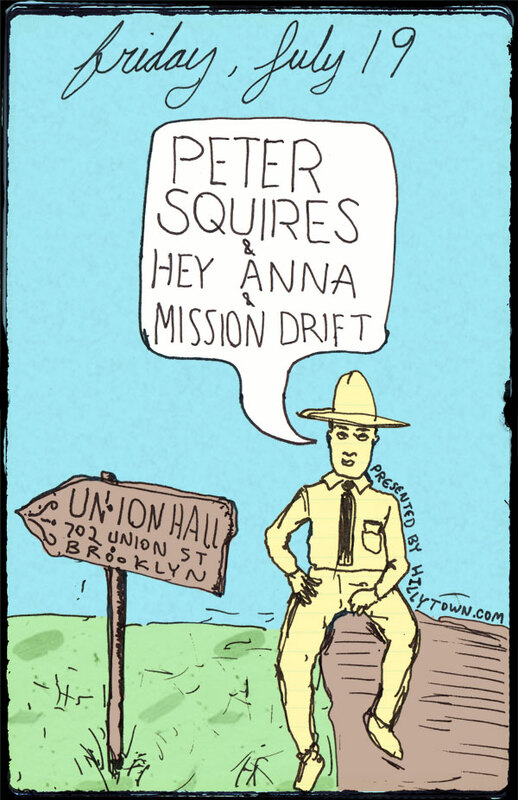 Tomorrow it’s round 3 of HillyTown Presents shows at Union Hall in Brooklyn, NY. This time around we’ve got Portland garage noise band Great Western Plain sharing the fun with Shark? and Field Mouse (who’ve been getting some great press lately)! We must be on to something with this one, since even the New Yorker recommended the show. Continue reading HillyTown Presents NYC Tomorrow! HillyTown Presents in Brooklyn This Week! 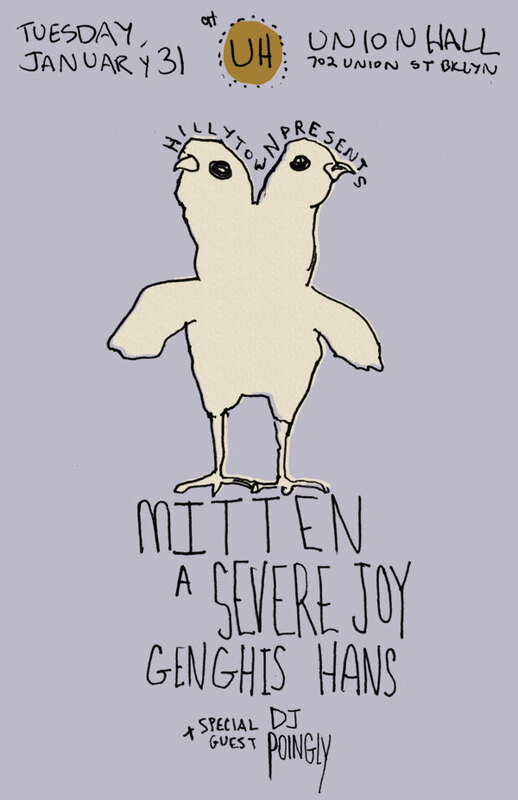 Doors at 8:30, cover is just $7. Union Hall is at 702 Union Street in the Park Slope neighborhood of Brooklkyn, NY. Get advance tickets here! 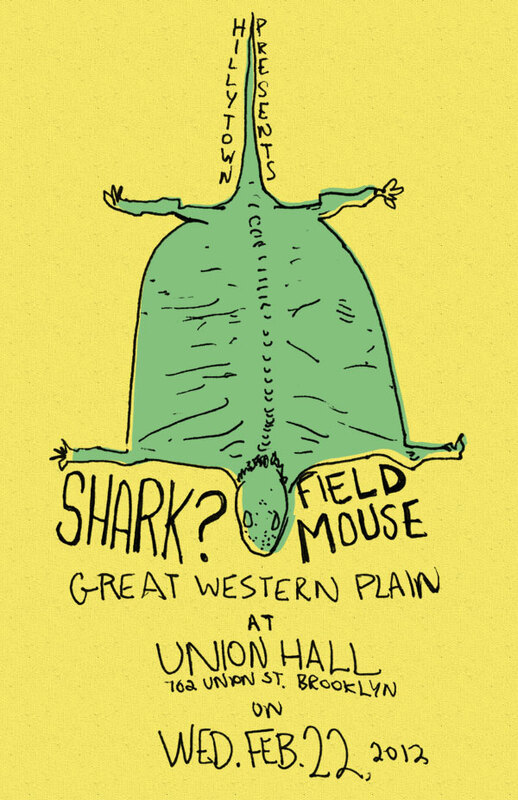 We currently have one more show at the venue, coming up on February 22, featuring Great Western Plain with Brooklyn locals Shark? 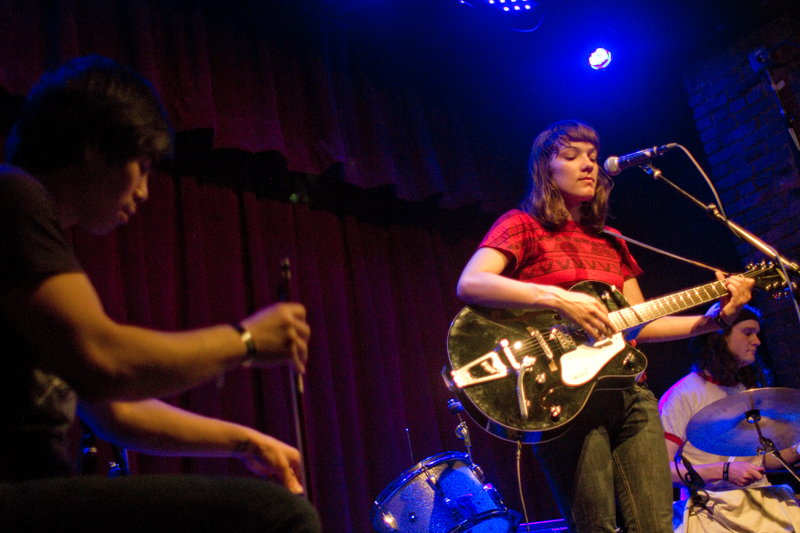 and Field Mouse (who just premiered a new video on Stereogum).